Just back from Tokyo and I can't wait to share a very special ramen shop with you. 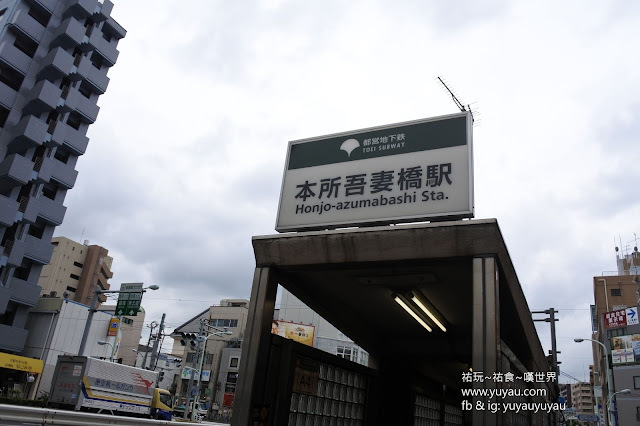 To go to this shop, you can take Tokyo Subway to Honjo-azumabashi station, with a minute walk from exit A0 or A2. Or you can walk from Tokyo Skytree with just 10 mins, a pretty good walk before and after meal. 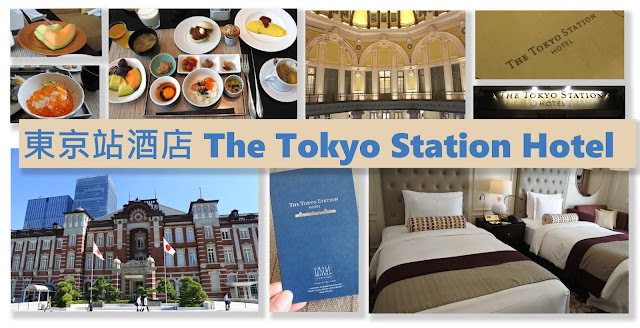 Please watch the video before reading the rest of the article. The ramen shop is located in a residential area, and there is no eye catching signage showing the way. 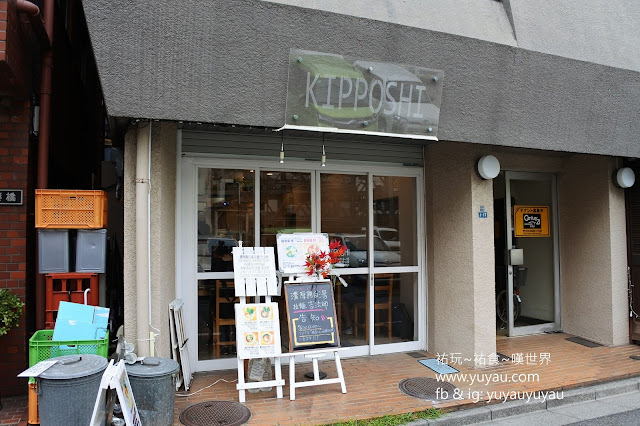 You can find the shop by the exterior, a big KIPPOSHI. 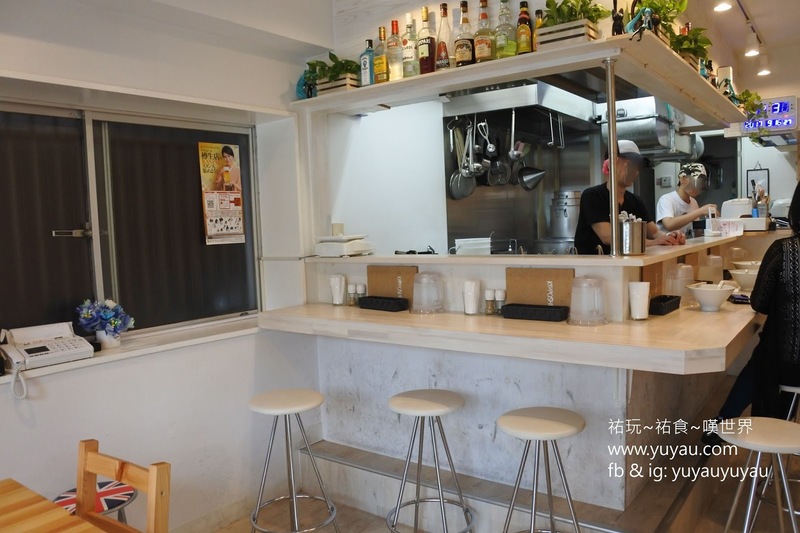 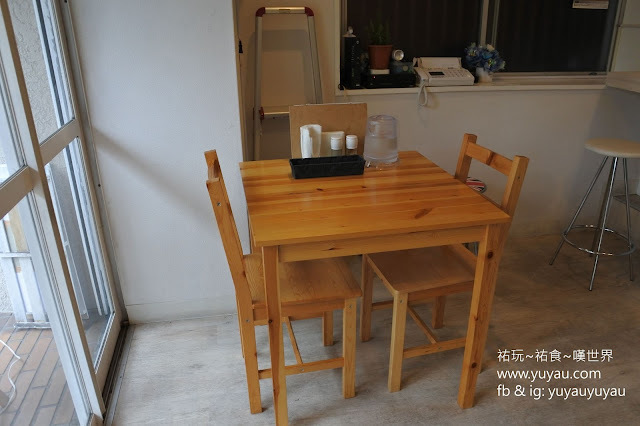 There are 7 counter seats and 2 tables that fits for 2 person. I arrived at around 11:30am, luckily we didn't have to line up outside. 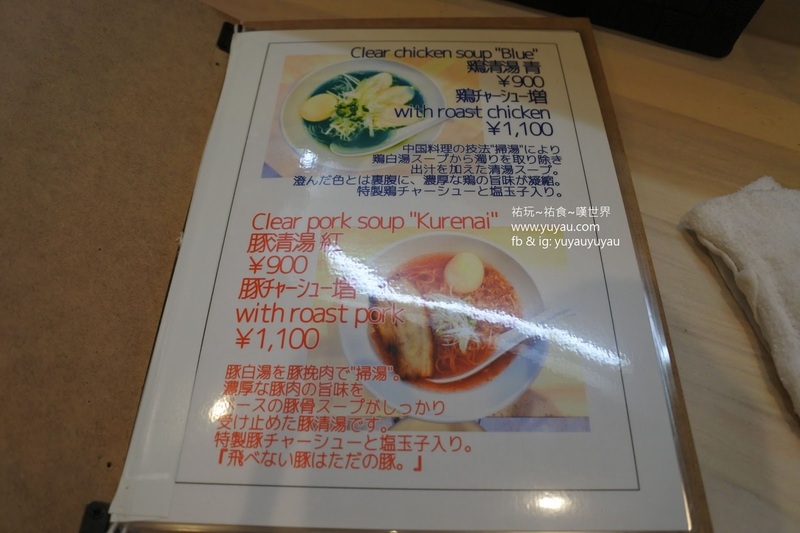 Clear chicken soup Blue ramen is the must-eat item, 900yen. 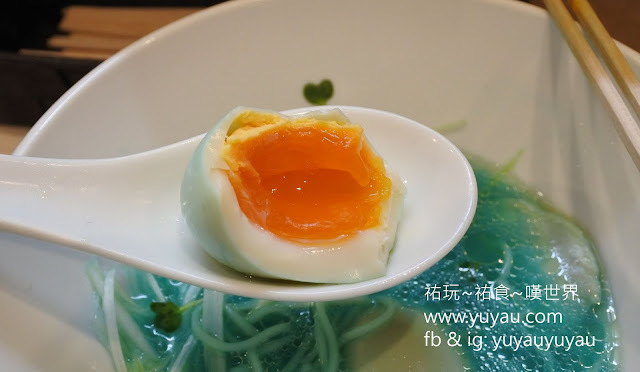 There is a chicken "chashu" (roast cicken) in the Blue ramen. 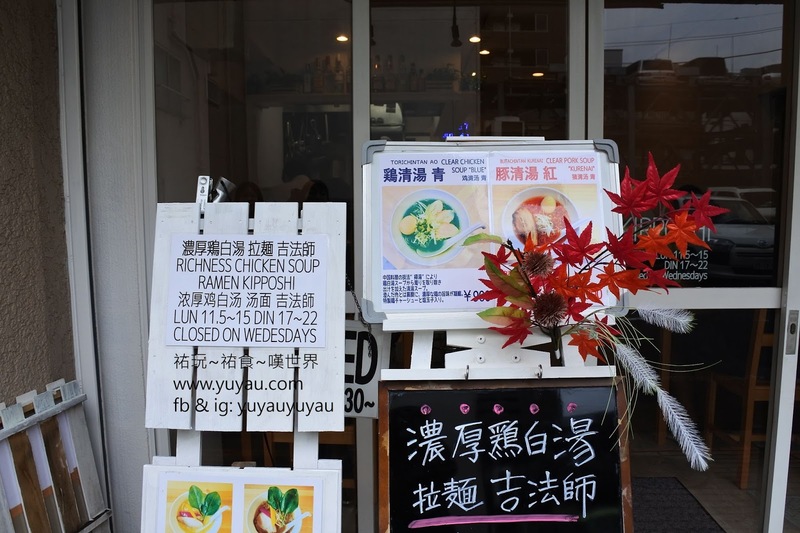 You could order the "with roast chicken" ramen (1,100yen) if you prefer MORE roasted chicken. 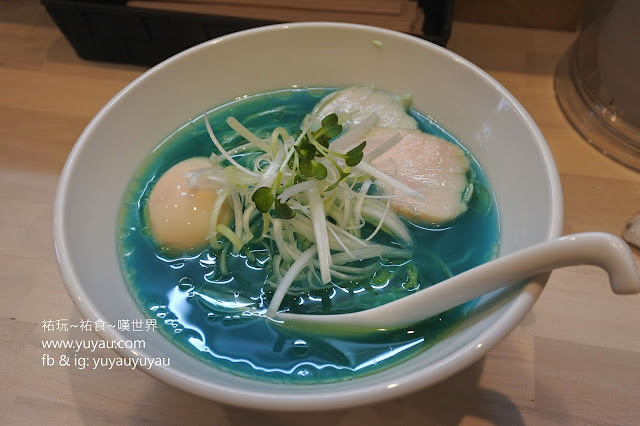 Besides the blue ramen, Kipposhi also offer a red pork soup ramen. 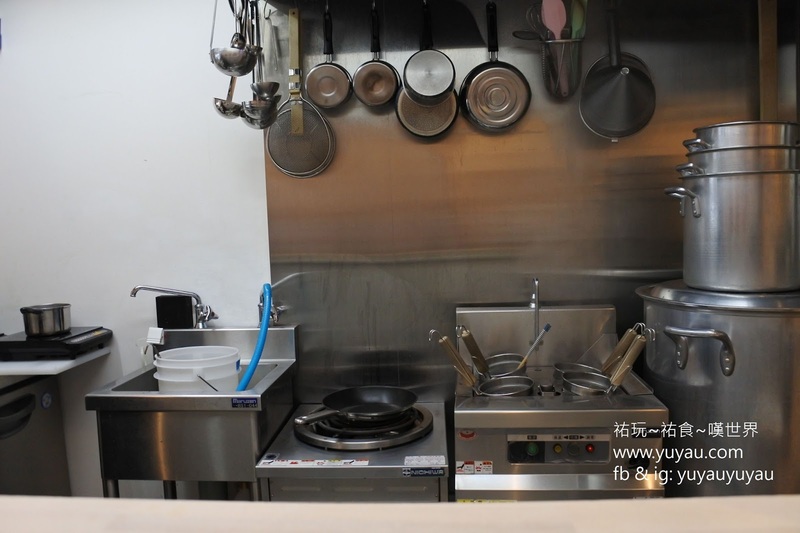 All ramens are made to order, plus limited stock. 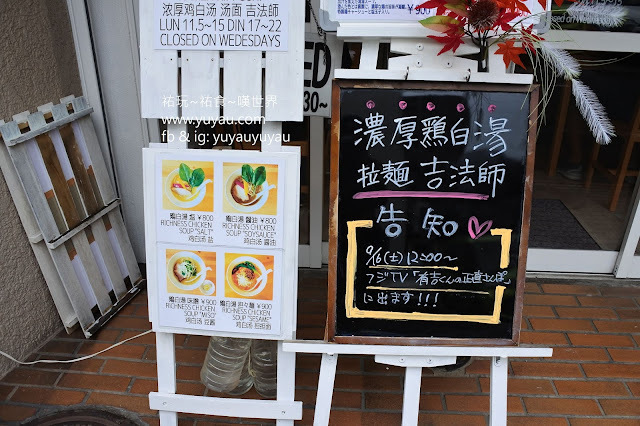 the shop will finish the day once the soup are sold out. 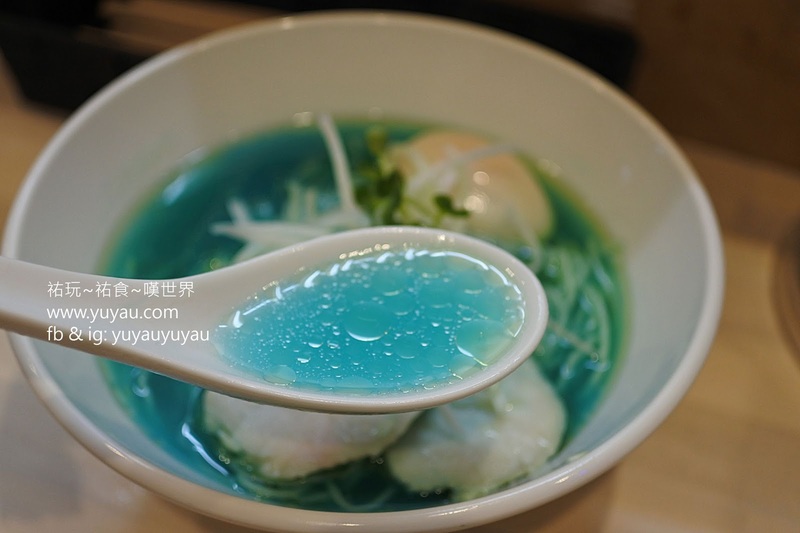 And of cause the blue chicken soup sold fast. What made the blue ramen blue is a secret, said by the shop owner. 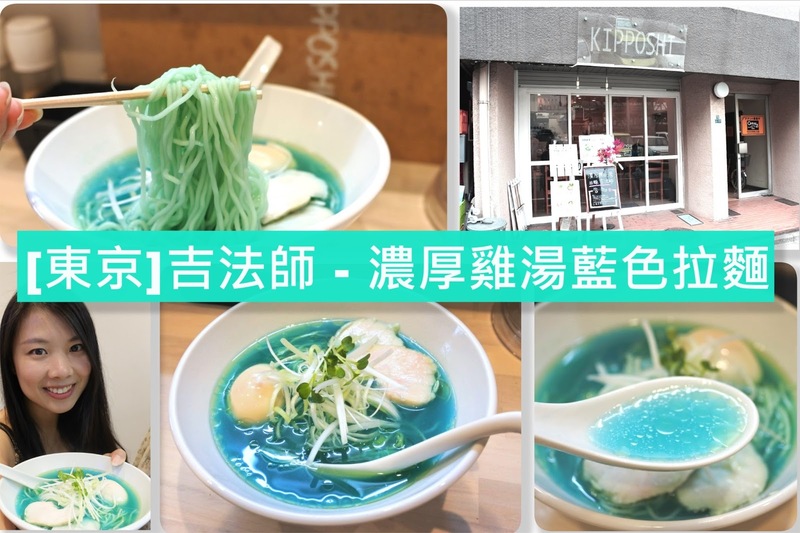 Here we come the blue ramen! 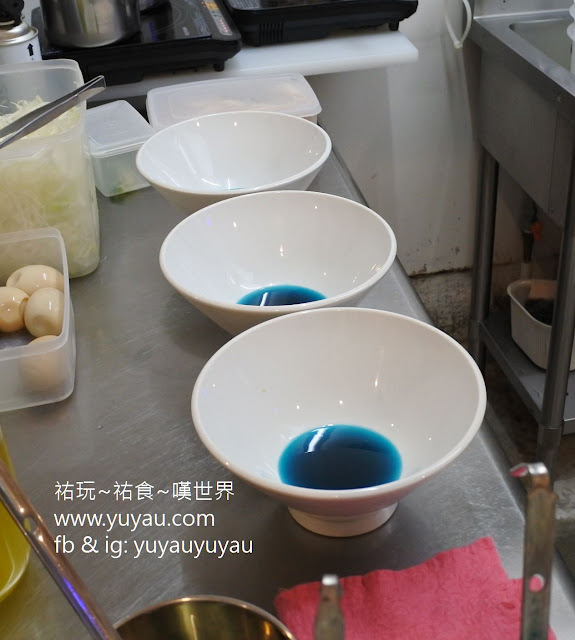 The bowl, spoon, roast chicken, half-boiled egg and even the leek are in white tone, which makes the soup more blue and outstanding. 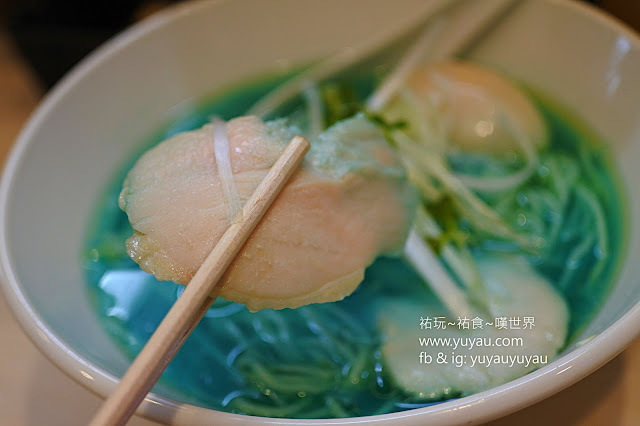 The soup is crystal clear, and full of chicken flavour. 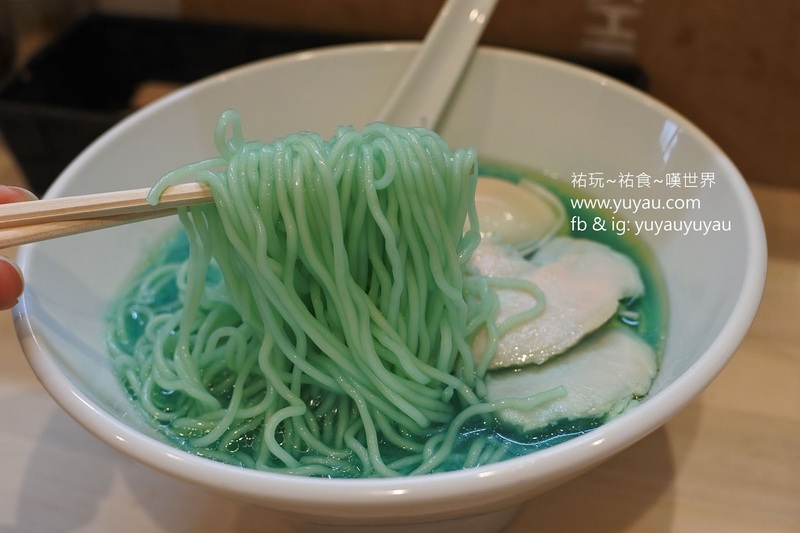 There is no funny taste at all, although the blue colour looks unusual. The owner said he used a Chinese soup making method to make the chicken soup base, with multiple filtering until the soup until crystal clear. 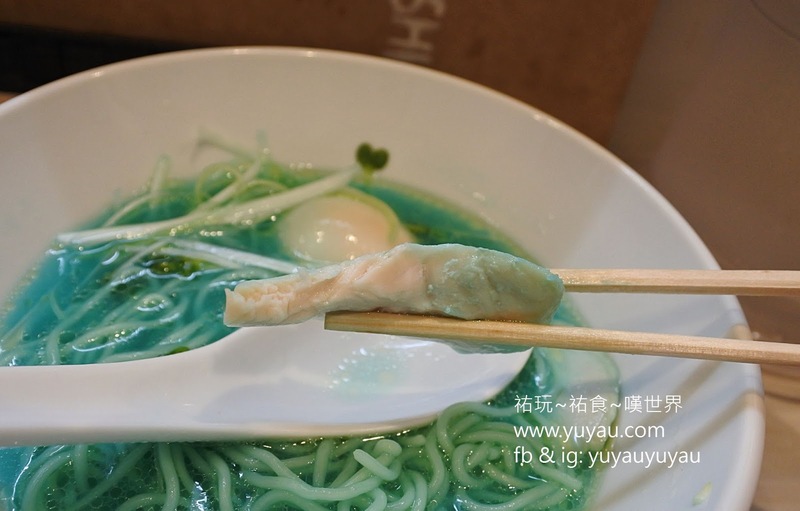 Round thin noodles became blue, which means it absorbed the chicken soup and turned the noodles contain the chicken flavour as well. Half boiled egg was also very good. 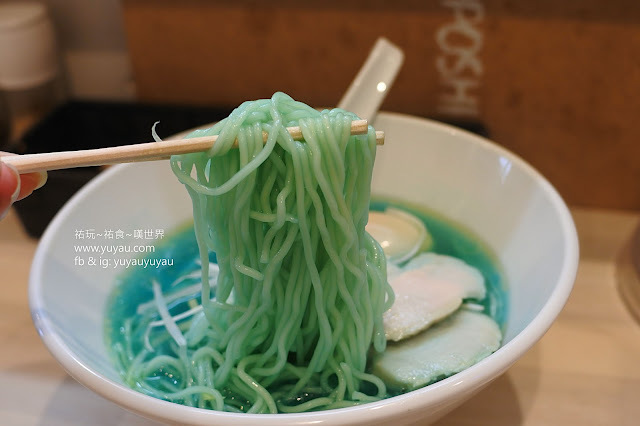 Just a bit salty if having it after finishing the noodles. 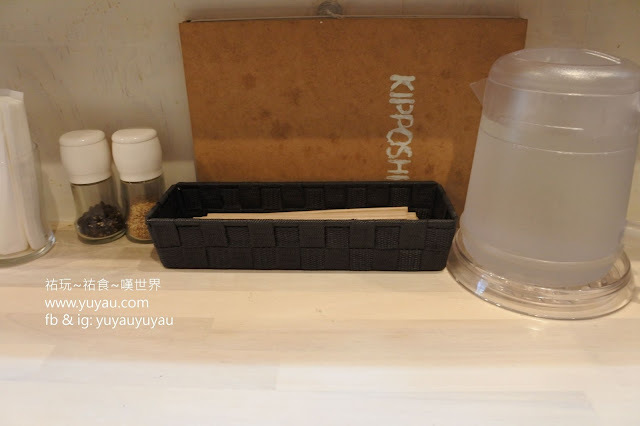 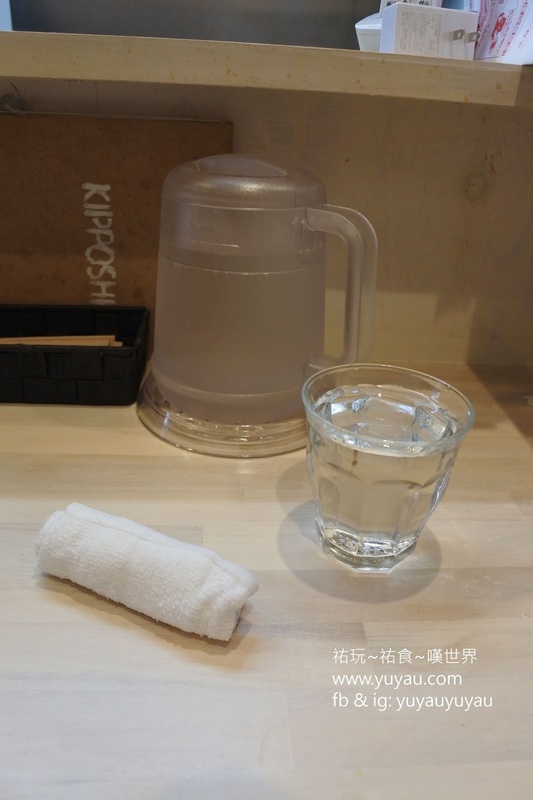 I recommended Kipposhi not just for the blue soup, but for the clear chicken soup and the roast chicken.